Phylis Wright, senior access and information specialist and 2006 Facultas Award winner, was elected as the Falvey Memorial Library Staff Council representative. The University Staff Council was created in 2008 by Father Peter Donohue, O.S.A., Villanova University President, as a group to encourage dialogue and involvement from Villanova University staff members. Serving on the Library Staff Council committee with Phylis are Jeannine Ahern, Margaret Duffy, Bill Greene, Mary Heyman, Gina McFadden and Joanne Quinn. 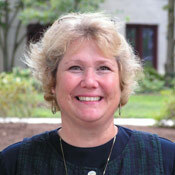 The Staff Council, which replaces VQI, includes representatives from various departments: Academic Affairs, Financial Affairs, Athletics, Auxiliary Services, Campus Ministry, College of Engineering, College of Liberal Arts and Sciences, College of Nursing, Enrollment Management, Facilities Management, Falvey Library, Institutional Advancement, the Law School, Office of the President, Office of University Communication, Public Safety, School of Business, and Student Life. The University Staff Council sponsors the Faculty/Staff Christmas Party, Faculty/Staff Community Picnic, Bread and Soup Lunch during Hunger Awareness Week and Midnight Shift Recognition Team Events. The Staff Council also awards the Distinguished Service Award, the Work Process Improvement Award and the Above and Beyond Award.